Even compared to the rest of his mutant family, Myron is still pretty damn ugly. As nothing but an overgrown head with hands sitting on a wheelchair, there isn’t much that's physically imposing about him. But with a family of crazed mutants at his disposal, Myron can certainly get what he wants. However, the special effects for Myron make him look more like a float at the Macy’s Day Parade than the leader of a violent clan of misfits. 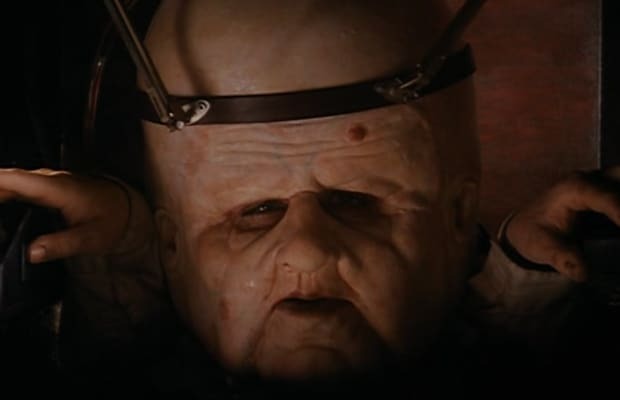 One has to wonder why the filmmakers would even try to craft such a deformed head when they could have just cast Kelsey Grammer in the role.